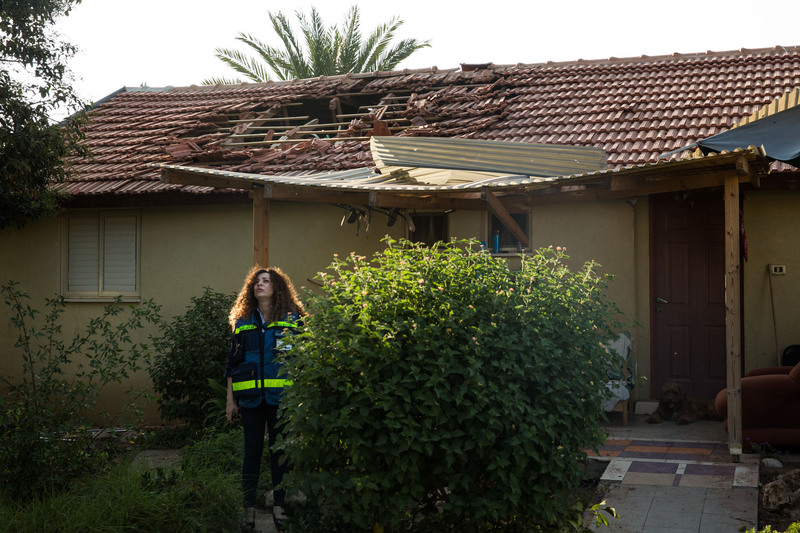 Damage done to a house by an alleged Hamas rocket is seen on July 27, 2014 in Nahal Oz, Israel. The nearly three week conflict has left more than 1,050 Palestinians dead. In Israel, 46 have died, including 43 soldiers, two civilians and a Thai worker.